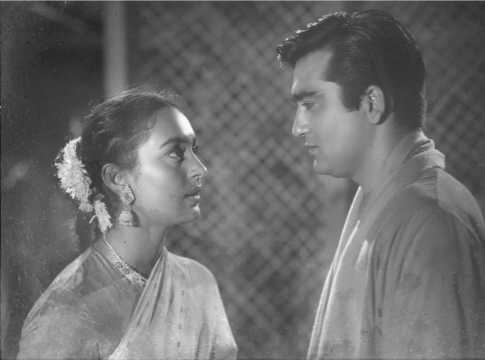 Sujata, released on 3 April 60 years ago, was more humane than many other films dealing with caste discrimination and prejudice. 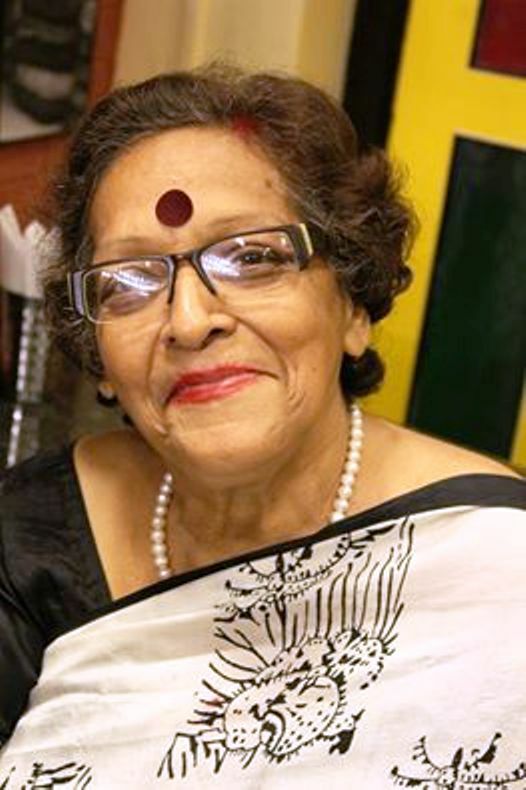 Sujata, based on a novelette by Subodh Ghosh (1909-1980), enjoys iconic status in any retrospective of Bimal Roy films. Its mechanisms of pleasure, the blend of realism and idealism, and the humanitarian vision the film embodies denote a powerful, albeit fading, current in the symbolic universe of the 1950s. In and through Sujata, many of the oppositions that sustain between poverty and wealth, renunciation and worldliness, dharma and adharma, desire and law, are worked out in terms of the family-as-nation/nation-as-family ideal. Sujata, dealing with caste prejudice, is more humane than most other films made on the evil of untouchability. Bimal Roy was among the early Indian directors to be noted for the simplicity and understatement in the treatment of their films, and Sujata is one of the best examples. One never finds Roy loud or ludicrous, except, maybe slightly, in the scene of the telephonic song where Adhir (Sunil Dutt) sings a Hindi song set to a tune adapted from a Tagore original by SD Burman. 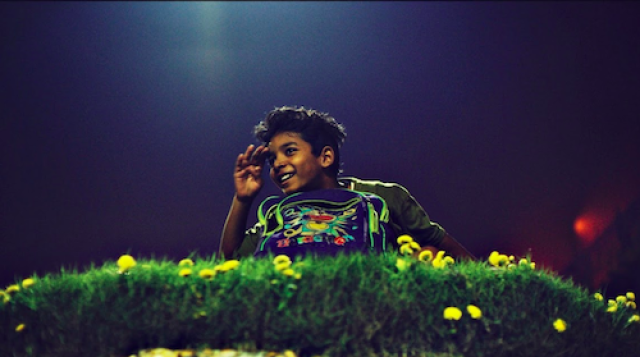 In the other technical departments too, the film excels. The chiaroscuro cinematography using diffusion lenses and backlighting for many close-ups of Sujata in her myriad moods add to the film's beauty. Sujata is a sensitively directed film with the romantic scenes between Adhir and Sujata (Nutan) taking on a lyrical rhythm. The story is told in a series of deft, restrained episodes, never lapsing into self-pity that could easily have marred it. The director in Bimal Roy insisted that such a marriage is not only possible, but, more importantly, necessary. When the film opens, one hears the sound of stones being broken upon a hill. A bridge is being built. There is news of a cholera epidemic in basti number 2 that houses the coolies who work at the stone-chipping site and they are on the run for fear of being infected. The following day happens to be the birthday celebration of site engineer Upen Babu’s little girl, Rama. Against this prologue, the title graphics begin to come up. A couple of coolies approach Upen Babu (Tarun Bose), a tiny infant in the arms of one. They inform him that the infant is the sole survivor of trolley coolie Budan’s family. Both Budan and his wife have died of cholera. Budan was of low caste and none in the village is willing to take care of the child as not a single person belongs to his caste. Jackals were waiting to pick up the baby when the coolies found her and brought her to Upen Babu. This marks the entry of Sujata into Upen Babu’s family as an infant. She remains unaware of her roots until she has grown up. Unlike her more liberal, progressive husband, Upen Babu's wife Charu (Sulochana) tries her best to resist forming a bond with Sujata. But the maternal spirit within her won't be denied, nor will it allow her to send Sujata off to an orphanage. The film has a rich lyrical tonal quality and evocative framing of the cinematography brings out the human emotions of the story. Helping to lift the film several notches is its evergreen musical score by Sachin Dev Burman laced with masterpieces like 'Jalte Hain Jiske Liye', 'Kali Ghata Chhaye', 'Nanhi Kali Sone Chali', 'Bachpan Ke Din' and 'Sun Mere Bandhu Re', rendered by Burmanda himself. 'Jalte Hain Jiske Liye' is perhaps the pièce de résistance of the film. It must rank as one of the best romantic solos in Indian cinema and is easily one of singer Talat Mahmood's finest songs. 'Nanhi Kali Sone Chali' remains one of the most enduring lullabies in Hindi cinema. Geeta Dutt is in full form in this delicate little lullaby, making prime use of her voice with minimum orchestral support of just a jal tarang. Asha Bhosle impresses with 'Kali Ghata Chhaye'. Other songs include the cute Asha-Geeta duet 'Bachpan Ke Din Bhi Kya Din The' and the Mohammad Rafi solo number 'Wah Bhai Wah'. 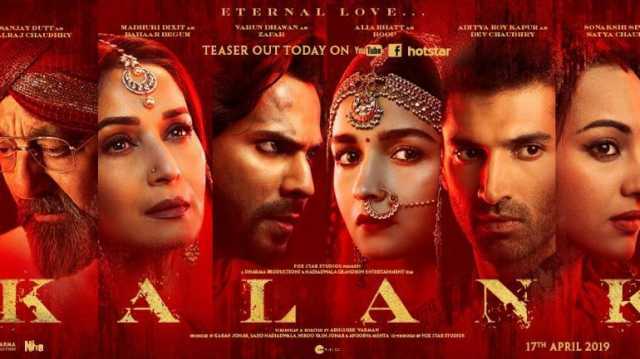 And to push its humanistic message, the film includes an elaborate stage performance of Tagore's dance drama Chandalika. Mahatma Gandhi is a palpable and physical presence in Sujata. Many shots have been used with Barrackpore’s Gandhi Ghat as the backdrop. 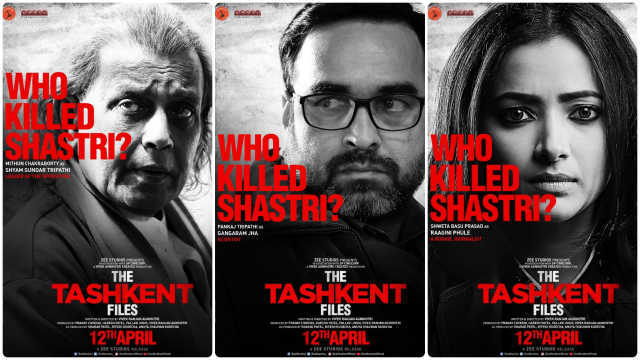 Interestingly, all these shots are focused exclusively with Adhir, Sujata or both in the frame. No other character is present here. It is as if the ghat is a small, private world peopled only by the two lovers who shut the world outside for these brief moments of intimacy. In some shots, the camera pans up to close in on Gandhi’s empanelled mural on the wall, including him as an omniscient but silent presence in the film. 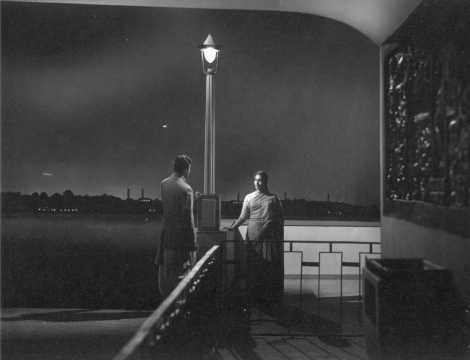 Using Gandhiji's sayings and example in his narrative in the touching scene where Sujata runs out of the house on a night of rain and storm to the Gandhi Ghat, probably to commit suicide, Roy makes palpable his desire for an egalitarian world. When Sujata is stopped from attending Rama's stage programme, Adhir leaves the show midway and meets her. He conveys the programme's message and boosts Sujata's self-confidence with the film's best line: Aatmaninda aatmahatya se bhi bada paap hai (Self-condemnation is a bigger sin than killing oneself). Sujata is an ideological film as it presents the possibility of the ideal society in the spirit of Gandhi, who is Sujata's patron saint, saving her once from suicide and unfailingly offering comfort, strength and hope in her darkest moments. The idea of the narrative situation of a so-called Untouchable child being ‘adopted’ by an upper-caste family is taken from the teachings of Gandhi (National Identity in Indian Popular Cinema, 1947-1987 by Sumita S Chakravarty, p113). Roy departs from the original by incorporating an abstract from Rabindranath Tagore’s dance drama Chandalika within the main narrative as part of a programme in Rama’s college. The original Subodh Ghosh story used an annual sports event as a strategy for taking Adhir away from the scene back to where Sujata was, at home. This change from the sporting event in the literary source to the staging of the dance drama Chandalika, where Rama (Shashikala) is portraying the title role, is a pointer to Roy’s perception of the appropriate. Chandalika (The Untouchable Girl, 1933) is a dance drama based on a Buddhist legend under the umbrella title of Sardulakarnavadana. It is the story of a 'low-caste' girl called Prakriti, who refuses to acknowledge the handicaps attached to people born thus, such as not being allowed to touch or be touched by people of 'higher' birth. While she is grappling with the tragedy of her birth, a disciple of the Buddha named Ananda steps in to ask her for water to quench his thirst. When she tells him she cannot give him water as she is untouchable, he insists, saying there is no such thing as high or low birth and being human is the only caste in this world. Having quenched his thirst, Ananda leaves. But Chandalika has already fallen in love with him. She approaches her mother, who has occult powers, and implores her to use them and bring Ananda back to her. Her mother appeals to her not to distract a spiritual person from his penance, but Prakriti insists. 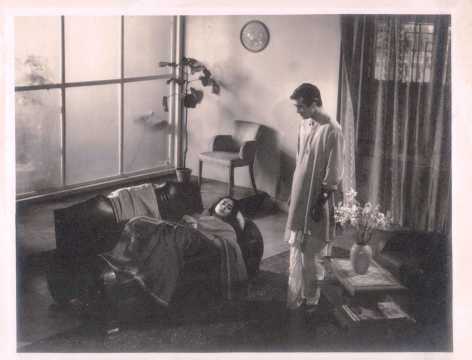 The climactic scene, where Sujata’s blood is transferred to Charu following her fall from the stairs, is also Bimal Roy’s personal contribution that does not exist in the original novel. Reel 95 has the blood transfer sequence. Charu lies unconscious on the bed. When the doctor informs Upen Babu that his wife needs blood immediately, each family member and even Adhir lend themselves to find if there is a match. There is none. Finally, they call upon Sujata. Surprisingly, her blood matches perfectly with Charu’s. In reel 96, the camera captures a top-angle shot of Sujata and Adhir following the blood transfusion. “My blood is poisonous, go away from this breath for your own good,” she tells him. She has penned a letter addressed to him which lies on a table. Adhir slowly and wearily walks out of the room, the letter flies away in the soft breeze to land somewhere, unknown to Adhir. It is later discovered by Upen Babu and he reads it out to Charu when she comes back to her senses, in more ways than one. The question is, why did Bimal Roy incorporate this scene when it was nowhere in the original? It stands out as a living irony to all that has gone before in the film, beginning with the coolie coming to Upen Babu with a new-born infant in his arms, right till the time when Charu falls off the stairs and needs a blood transfusion. The blood transfusion is a culmination of the argument Roy began the film with, that the innate goodness of a human being is what counts above everything else. “Sujata is a floating signifier,” writes Sumita Chakravarty in her book (p85). Her natural parents are dead when the film opens and her entry into the dominant social order must be initiated through a reconstruction of genealogy and blood links. In spatial terms, she must move from ‘outside’ society to inside it, from a ‘natural’ state to marriage and domestication, from poverty and dependence to wealth and social position. Membership into the family is sanctioned through marriage into the same higher caste she has been adopted by. Nutan enacts the role of the 'untouchable' girl with stunning grace and is able to convey her hurt, her trauma, with just a glance or a gesture. She could convey much more with just a look or a fleeting glance than most actresses could with expansive dialogue. In his deftly crafted screenplay, Nabendu Ghosh etches a fully fleshed-out character, and as the film moves along, one feels as if Ghosh wrote the character with Nutan in mind. 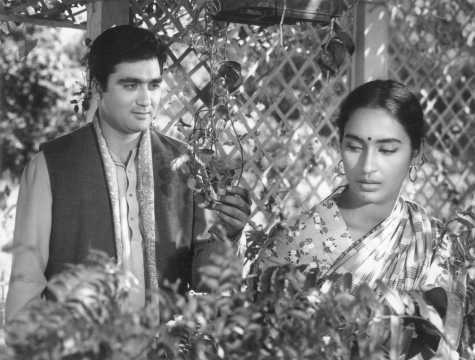 Roy, interestingly, uses Nature to convey Sujata's moods. A couple of garden sequences express this link between Sujata and her love for nature. There is a subdued yet entrancing romanticism in the love scene where Adhir conspires to meet Sujata in the garden. He tells her: "Tumhara sabse bada gun yehi hai ke tumme gun nahin hai [Your greatest quality is that you have none]." The transgenerational insight into the characters and personalities in Sujata is brought across without resorting to melodrama or sensationalizing the issues involved — caste ostracism; adoption and its implications in a family where a natural child already exists; love between a high-caste, highly educated young man and a low-caste, uneducated young woman; suicide as the easiest and shortest but dispensable escape route for young women like Sujata; the strong bond of sisterhood that sustains between two girls brought up by the same set of parents within the same family though they are not blood sisters; the possibility of marriage between social unequals based solely on love; blood transfusion as proof of caste being purely a social condition without any basis in science, history or god; the ugly face of dowry that surfaces when Sujata’s marriage is being arranged to a ‘liberal’ man’s son, and so on. In the film's mechanism of pleasure, its realism and idealism, and the humanitarian vision it embodies lies a powerful if fading current in the symbolic universe of the 1950s. Roy took some liberties with the original. But his celluloid improvisations only enhanced the richness of the film's texture. It is one of the most beautiful celluloid representations of romanticism that evolved into a strong social statement against untouchability, spreading the message of the universality of love that extends not only beyond caste, class and status but also beyond blood.